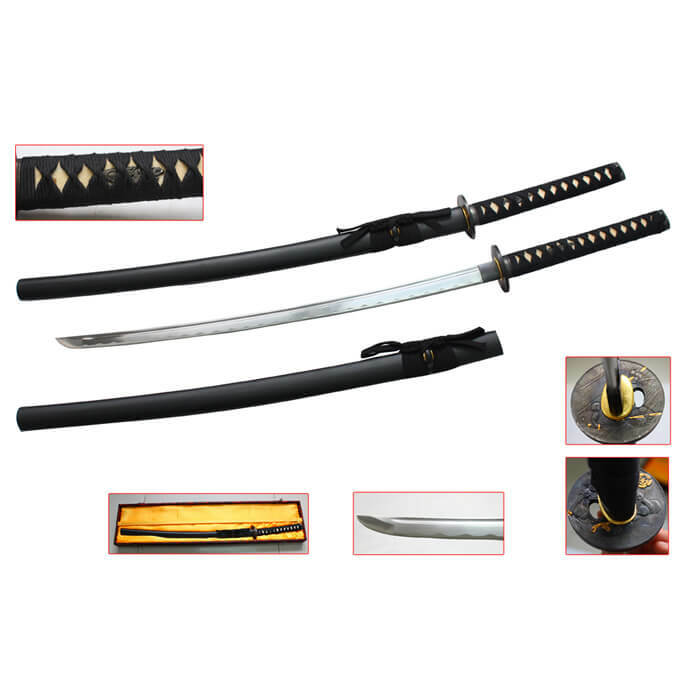 The Musashi Warrior Katana is a hand made, full tang katana and can be fully disassembled for maintenance. All authentic Japanese Samurai swords ship free! 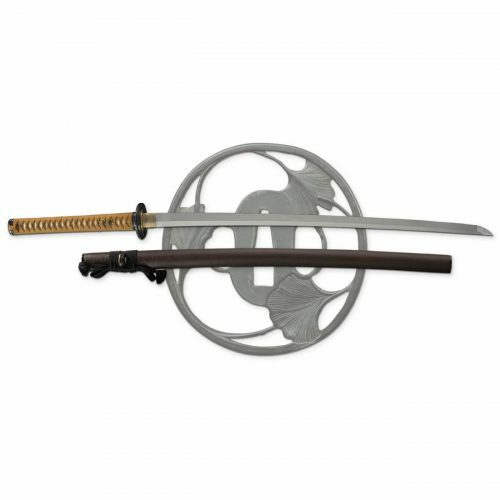 We have Battle ready swords and weapons for the Samurai sword enthusiast. 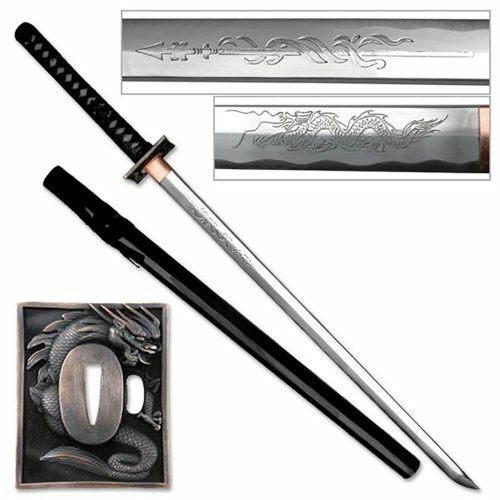 The Musha Warrior Katana is a hand made, full tang katana and can be fully disassembled for maintenance. 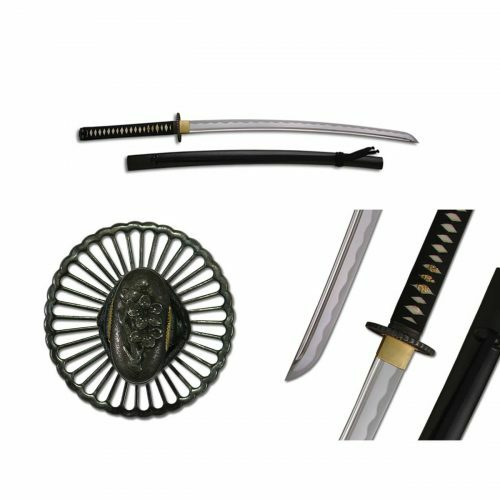 The blade is made with high temper carbon steel, Hangan(Single Hard Steel, Maru Method and hand sharpened to a razor sharp edge making cutting targets effortless. This tsuba features a Japanese warlord with katana in his hand. 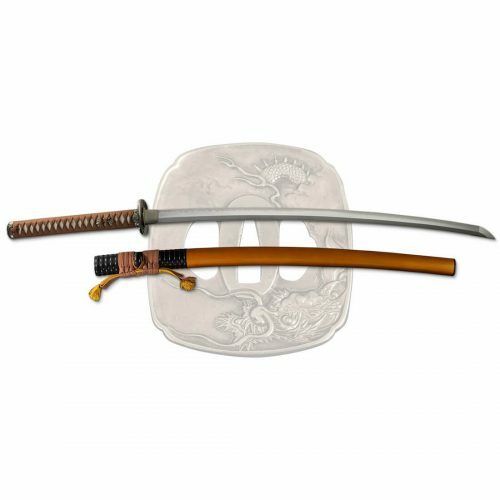 This Musha Katana comes with a beautiful free decorative display box.